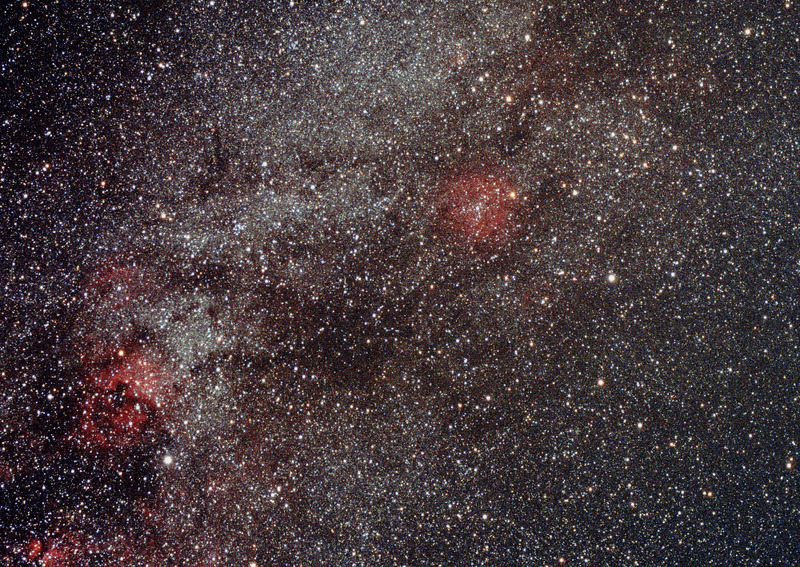 This is the Milky Way region located between the constellations Cygnus (lower left) and Cepheus (upper right). The red nebulas in the lower left corner are the North America and Pelican nebulas. The red nebula up and to the right is IC 1396.